The stills below are from the shoot for the above video. The metallic sphere is used for measuring light. 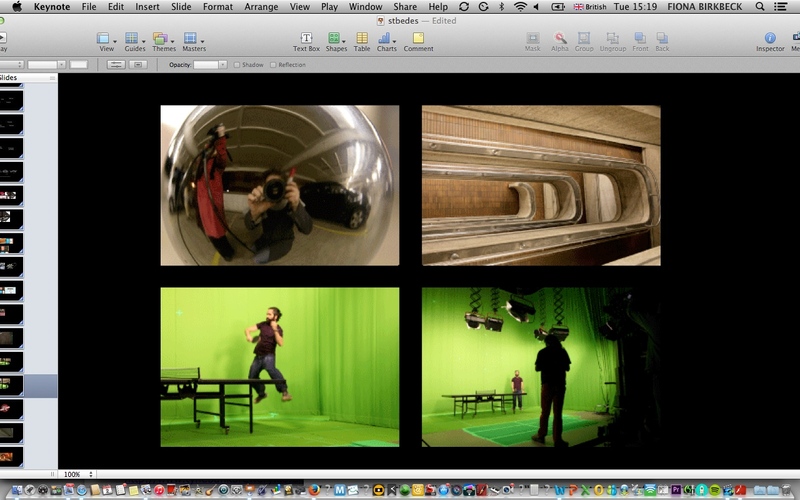 The second set of photos are from a Multiminded special effects green screen shoot using a motion control rig.